OK, straight off the bat, I admit I am a Suits fan – it’s addictive! Whether you love or hate the Harvey Specter character, you can’t deny he is smart and driven. Today’s sales and marketing people could learn a thing or two from him. There is a hot debate around now on inbound marketing Vs outbound marketing and ROI. It’s all about comparing traditional marketing via traditional, digital and social media (outbound – referred to as ‘interruption marketing’), versus attracting the buyers who are researching your product or service category (inbound). Outbound is labelled clutter everyone wants less of, and inbound is all about putting your product or service in the path of predetermined ‘buyer personas’ and letting them arrive a warm prospect. First, let’s stay in the B2B space because B2C is a different game altogether. In my opinion, in B2B both are valid and properly executed, both are effective. However, with the rapid growth of inbound strategies and tools, I sense our front line sales and business development people are starting to sit back and wait for ‘warm prospects’ to arrive compliments of marketing. If sales are down, blame marketing for not delivering enough warm prospects. Wrong! In my three and a half decades around B2B sales and marketing, by far the most effective and game-changing method of finding a customer, is to pick up the phone and call them. Indeed all of the biggest outcomes I have experienced in new customer sales have been from playing the man or woman, not the odds of them coming to us. We can learn from Harvey on this. If you watch Suits, you will know he is a ‘do it now’ guy. If he sees a threat, a deal, a new client opportunity or a leverage point, he gets on the phone and in their office face to face as fast as possible making it happen. That’s playing the man. You’ll notice he is quite often walking out of the office asking Donna to set it all up as he heads to the client or prospective client. Here is the thing about outbound marketing. Everyone is preoccupied with the interruption message via the plethora of media and connectivity options available now, from traditional electronic media to the big digital utilities like Google and Facebook. And of course, there is e-mail (the new junk direct mail) and even LinkedIn which are well overused. What happened to the well-proven sales marketing practice, where your sales and business development team researched to select good prospects (research that is easier to do deeper today than ever before!) and then go and meet them. Sales marketing is when you meet them not to sell them on what you have to offer, but to educate them, indeed even challenge them (read the Challenger Sale), and then qualify if they need your product or service. If you go in with a mindset that is not seeking a sale to reach your quota, and instead focus on the prospect and understanding them, you may be very surprised what happens next. All sales and business development people should have a weekly cadence of face to face calls and in that mix of calls should be an allocation of sales marketing meetings which are not intended sales calls. 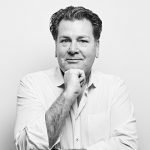 In B2B sales F2F is by far the most effective marketing of all, and if conducted by sales and business development professionals who are capable of segueing into a sales process if the opportunity presents there and then, or at a later date, it’s all investment in building up opportunities in the pipeline. At the Mcginn Partnership, we believe what marketing delivers the sales and BD team inbound is a great bonus from a valuable strategy and process. However, the smart sales and business development professionals ‘play the man’. They calibrate their quota metrics on their outbound effort and take the inbound as a bonus to over-perform targets for incremental reward. Love him or hate him, Harvey Specter is an awesome salesman, and he selects rather than sells which is the well-proven way to sales success. 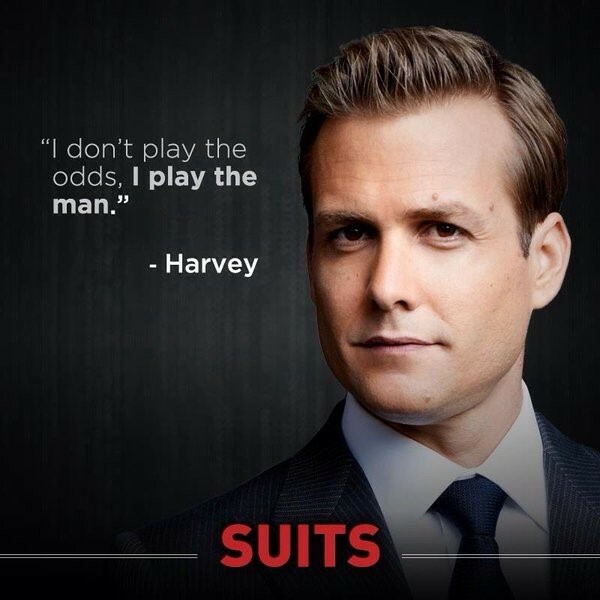 If I were in marketing I would be saying “Go Harvey Go”….but I am not!